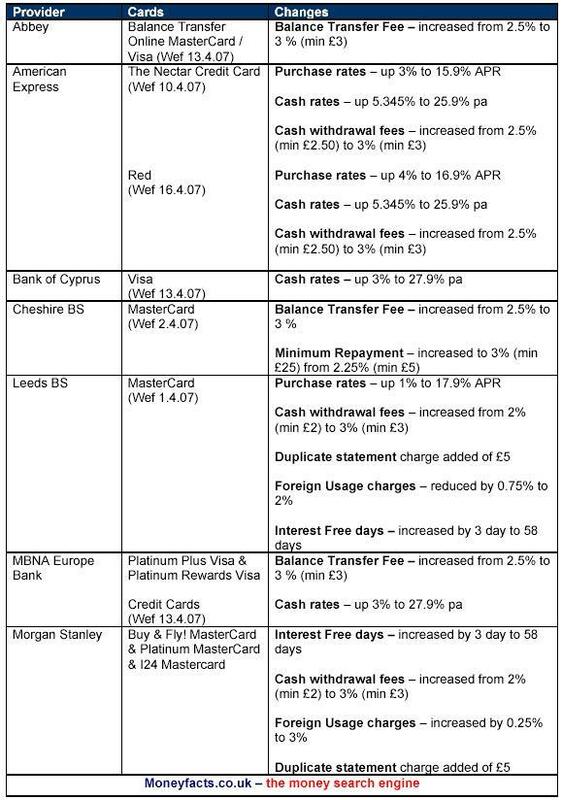 “And its not just rates which are increasing; balance transfer charges, cash withdrawal and foreign usage fees are rising, and card providers are introducing service charges, for example duplicate statements or tracking of address charges. “Card providers are also making changes to their card terms, for example increasing interest free days. While this may sound great for the consumer who pays their balance in full each month, for anyone carrying over a balance, the credit card company gains interest revenue from these extra days. “Perhaps the OFT has realised the consequences of its actions, and may be the reason why it is not taking such a knee jerk reaction with the current account market. “With these abundance of credit card changes afoot, it is even more important that you review your card regularly to ensure you are getting the best possible deal. And when your provider sends through revised terms and conditions, however tiresome it may be, take the time to read the changes being made, as there is a good chance that it could result in your card costing you more.